Due to popular demand, The Wolfe Brothers, one of the most exciting country rock bands to emerge out of Australia, are returning to MEMO this March in support of their new album COUNTRY HEART! The Wolfe Brothers, one of the most exciting country rock bands to emerge out of Australia, impact the ARIA and iTunes charts with their new album, Country Heart. Upon release, the highly-anticipated album shot the band straight to the top of the iTunes country chart (#1) and #4 on the iTunes main (all genre) chart. With the release of ARIA charts over the weekend, Country Heart landed at #9 on the ARIA Main Album chart, sitting behind recent stadium touring artists Ed Sheeran (3x albums) and Bruno Mars. The album also secured high chart placings with a #1 on the ARIA Australian Country Album chart; #2 on the Australian Artists Album (all genre) charts (#1 Dami Im); #2 on ARIA Country Album chart (#1 So Country compilation); and a #6 on ARIA Digital Album (all genre) chart. 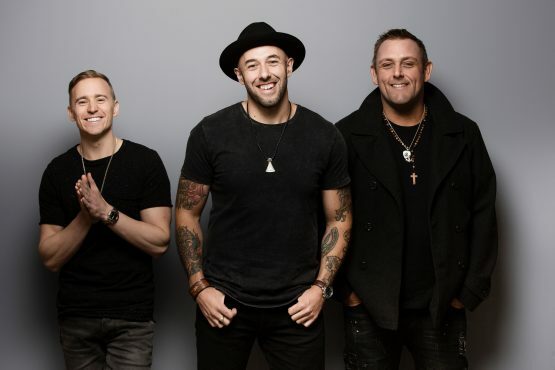 After the success of their previous albums – It’s On, Nothing But Trouble and This Crazy Life – Country Heart is The Wolfe Brothers’ fourth studio album and their highest ARIA main chart debut to date. Pioneers of Australian contemporary country music, The Wolfe Brothers (Tom Wolfe, Nick Wolfe, Brodie Rainbird) completed the album in Sydney with their new producer, the multi-award winning Matt Fell and was mastered by renowned engineer, William Bowden (Goyte). All of this has led to a fresh and more developed sound with Country Heart.